Increase the budget for 150 million citizens! 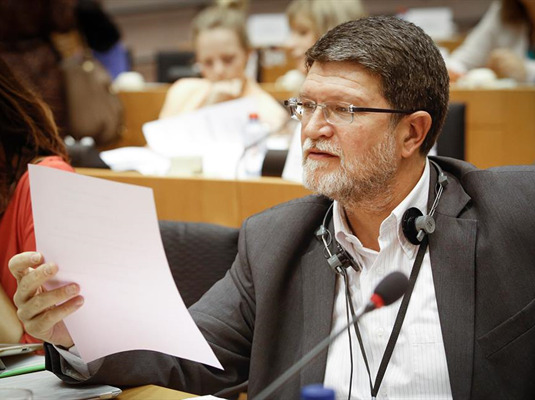 The European Parliament adopted all MEP Picula's amendments on the report on boosting growth and cohesion in the border regions, where he worked as a shadow rapporteur on behalf of his S&D Group. In linking the border areas, Picula calls for the preservation of European Territorial Cooperation (ETC), with a clearer role within cohesion policy after 2020 and a significant increase of the budget in the next budget period. MEP Picula has already called for enlargement of the EU budget for border regions in May, because "there are 150 million citizens living in this area, whose living conditions need to be improved as soon as possible!" He also pointed out that, apart from the regions along the internal borders, there should exist a strategy for the maritime region as well as for the regions along the EU external borders, especially for those countries that are actively involved in the EU integration process. On this report that highlights the many problems facing border regions, such as economic downturn and inadequate traffic link that limits citizens' mobility, Picula's amendment which demands from the Commission to address the lack of railway links along the EU's internal borders was adopted.